[EN] Electronic anthology by Russian Dmitriy Krotevich also known as Punktieren. 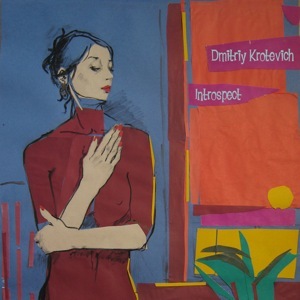 This album contains several previously unreleased tracks of different musical influences with a strong Jazz background, all of which were produced by Dmitriy dating back as far as 2001, in this release this tracks are mixed together seemlessly into a megamix anthology of his older works. Cover artwork by Elena Romenkova. [PT] Antologia electronica do Russo Dmitriy Krotevich também conhecido como Punktieren. Este album contém vários temas de diversas influências com forte background no Jazz, todas elas produzidas por Dmitriy desde 2001, nesta edição os temas estão misturados numa espécie de megamix que serve como antologia do seu trabalho. Grafismo por Elena Romenkova.